How to Download a Copy of Your Aadhaar Card - Simple Guide! 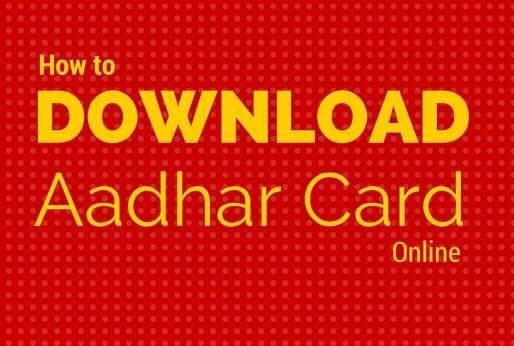 Home » Aadhar Card » How to Download a Copy of Your Aadhaar Card – Simple Guide! Why is Aadhar Card important? What is the benefit of having Aadhar Number? Does it mandatory to have our own Aadhar number? These are the few questions that strike our mind when it comes to Aadhar Card Number. The much talked about and hyped Aadhaar card still remains a mystery to many, but the rush at the registration counters tells a different tale. So, if you’re looking to get a copy of Aadhar Card, just read this article to download the copy from the comfort of your home! Current ruling Government has offered many welfare schemes which are directly linked to Aadhar Card Number. You can use this Aadhar Card Number as proof while applying Passport, LPG Subsidy, Voter ID, PAN Card, and Bank Account. If you’re looking to download the copy of your Aadhar Card, then it must know your UID Number i.e. 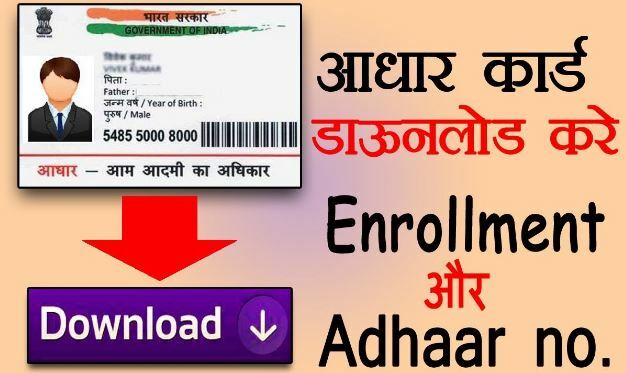 Aadhar Card Number or your Enrollment ID. Make sure that Aadhaar Card Number is selected from the two options near the top of the screen. Enter your Full Name in the respective field as printed on the Aadhar Card. Enter either the email address or phone number that you used while registering for Aadhar Card. Enter the Captcha Code and Click Get OTP. And this OTP will be sent to your registered email address or phone number, you need to just enter this code in the field. Then click “Verify OTP”. Now, you will receive your Aadhar Number on your mobile via SMS. Click on the option next to “I Have”. Fill all the fields accurately – Enter your full name and the PIN Code of your residential address. Enter the Captcha Code i.e. fill the field “Enter the Above Image Text”. Enter your registered mobile number and click One Time Password option. You will receive the OTP Code on your registered mobile number. Enter the OTP code in the respective field and click “Validate & Download”. Now, the copy of your Aadhar Card is available for download in a password protected file. Thinking “what the password is, I didn’t enter anything as a password?” Hey, just wait… The password is simply the PIN code of your residential address. You need to simply enter the PIN Code of your area as password and click the Download option. You can now take a print out of this or save it into a local drive for future references. You might think, “I have all the valid ID proofs, address proofs etc. Then why I need to apply for Aadhar Card Number?” Just read below to know the benefits you can enjoy by having an Aadhar Card. Digital Locker System: Government of India has launched a Digital Locker System which needs a person to link his or her 12 digit Aadhar Card Number as the password. Aadhar Card number is used to LPG Subsidy amount transferred directly to the Bank Account. Need of passport within 10 days to travel abroad? No worries, if you have an Aadhar Card Number, you will receive the passport within 10 days and the police verification will be done later. As per recent rules of GoI, Aadhar Card Number is mandatory while applying for passport. Since Aadhar Card is accepted as valid proof, there is no need to provide a bunch of documents including Ration Card, Address Proof, and Birth Certificate etc. for opening a bank account. Rather just a copy of Aadhar Card is enough! So, don’t underestimate the power of Aadhar Card! Without Aadhar your life can’t think anything in coming days!